Three weeks ago, the investing public was awarded a brief glimpse into the mysterious world of central banking through events in Cyprus. Despite the official assurances by IMF head Christine Lagarde that this was an anomaly, a one-time expropriation of investor savings, it is now clear that the situation is far more serious than originally acknowledged and that the Cyprus style “bail-in” will likely be used as a template for other distressed banks. News soon circulated that Cyprus’s gold reserves will be seized as part of the plan. Rumors rapidly spread that other troubled countries would also be forced to sell their gold. Central banking has always been a highly secretive, subterranean affair that has led to many conspiracy theories. Until the advent of the Internet and the light it has shed on this dark room, most of the world believed the Federal Reserve was a government agency rather than a privately owned bank, for example. Former Congressman Dr. Ron Paul was largely responsible for clearing up this mystery. As discussed in my previous commentary on the subject, Cyprus gave us an important glimpse of the three great secrets central bankers would prefer to keep in the dark: The loss of purchasing power brought about through inflation, debasement and financial repression; the loss of investor confidence in the fiat model and in government and banking policies that support it; and the importance of uncompromised bullion ownership. The attack on gold and silver further supports this premise rather than weakens it, but arriving at this conclusion takes more than superficial, reactionary analysis. Central bank activity is a mystery that we can best attempt to solve through studying clues and through asking questions—particularly the question “Cui bono” meaning literally, “a benefit to whom?” After gold lost $84 an ounce last Friday and silver lost $1.81, we can conclude the beneficiaries were not gold or silver investors who panicked and sold, but rather those who are fighting to preserve the reputation of the U.S. dollar and the fiat currency model that underpins the global economy. As with all things central bank-related, we can only speculate and conjecture. This is the purpose of this commentary. It is a worthwhile exercise because the most effective way to gain confidence in our investment strategy, which is now becoming a survival strategy, is through the sincere pursuit of economic/geopolitical truth. Otherwise, we will let our emotions rule our investment decisions and we will inevitably panic and sell our holdings out of fear and confusion. Have gold and silver fundamentals deteriorated? No. Not in the least. There has been some technical damage and, of course, a temporary weakness in investor sentiment, but the global debt and the loss of purchasing power of fiat currencies, the main drivers of the price of gold, are still increasing by the day. Unemployment is still rising globally. There are still forty-eight million Americans dependent on food stamps. Employment participation is falling. Oil prices are still rising. Ten thousand baby boomers are retiring daily, putting further stress on government pensions. The debt ceiling debate that caused the gold price to rise 30 percent in two months has not been resolved and will soon be revisited. Gold production rose only nominally over the past decade despite the rise in precious metals prices. A detailed analysis of precious metals’ fundamentals show they have only strengthened, not weakened. There is obviously more to this story and, thanks to the Internet, we no longer need to wait for months to gain some clarity, as we might have a few decades ago. Following Friday’s takedown, several reports appeared on King World News and through Jim Sinclair’s website stating this was a COMEX paper sale and that the physical gold market was tighter than ever as coin purchases and physical bullion sales soared in response. One commentator, Dr. Paul Craig Roberts, former Assistant Secretary of the Treasury for Economic Policy under President Reagan, did not mince words. He stated unequivocally that this attack was planned and quarterbacked by the Federal Reserve. As Dr. Roberts, like Dr. Paul had decades of first-hand experience working directly for the U.S. government, his words deserve a great deal of respect and should certainly serve as a starting point for anyone who sincerely wishes to get to the bottom of the mystery of gold’s recent price performance. Bill Downey of Financial Trends, a website dedicated to the price analysis of gold and silver, produced a thorough explanation of exactly how this takedown was carried out. His detailed breakdown shows the event was planned in detail, executed flawlessly and even involved locking up the physical market to increase the likelihood that physical buyers, with no other option for selling were forced to protect themselves through adding short positions purchased through the paper market, which was of course still open. 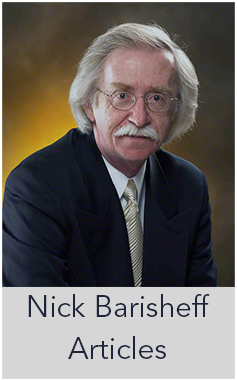 His analysis leaves little doubt that this entire takedown was orchestrated by the Fed. Solving a mystery also involves looking for recurring patterns in both behaviour and possible motive. So far one policy, one motive and one group of beneficiaries stand out conspicuously above all others. This is the policy of financial repression, the motive being the protection of the U.S. dollar as a safe-haven reserve currency and, of course, the central bankers, the government officials, the financial services industry and even much of the financial media who benefit most from a lower gold price and stronger dollar. Naturally, the first question a vigilant gold watcher might ask is how do central banks benefit from a lower gold price when they bought more gold in 2012 than they have in any single year since 1964? This may be the most important clue derived from last week’s gold takedown. We know that China has been buying gold at a record pace. The country leads the world in domestic production and all of that gold remains in China. In the past Chinese sovereign wealth funds, less restricted by official red tape and far less transparent in their activities than the People’s Bank of China, have accumulated vast amounts of gold then moved this gold into “official reserves” years after the fact. One story, published in 2009, indicated that the Chinese central bank has a target of 10,000 tonnes, which would give it the most gold of any country and would greatly assist its goal of eventually competing with the U.S. dollar for reserve currency status. The Chinese government can plan in terms of five and ten years at a time, as they do not face the fear of elections every couple of years as U.S. politicians do. It is also very aware of the investor sentiment amongst its population. The government has strongly encouraged the Chinese public to buy physical bullion and has implemented changes to facilitate this program. It is logical to expect it will prevent the gold price from to falling too much further. One surprise announcement about Chinese central bank gold purchases over the past few years could move gold prices back to record territory overnight. On the other hand, Western central banks are also just as anxious to own more gold for other more complex and more disingenuous reasons. One clue was provided in January, when Germany’s Bundesbank attempted to repatriate 300 tonnes of gold from the vaults of the New York Fed, only to be told it would take seven years. Gold watchers have long contended that the gold held in the U.S. vaults has been hypothecated and re-hypothecated so many times as a result of complex lease agreements that there may be many claims on whatever gold exists in the New York Fed and in Fort Knox. Since there has not been an official audit of this gold since 1953, only a hastily prepared report in response to a barrage of questions following the Bundesbank request, many are speculating that the Fed is also desperately competing for new supplies of physical gold to meet commitments. The Internet has also made it possible for truth seekers to understand the complex policy of financial repression that explains the current historically low negative real interest rates, restrictions that appear to benefit government and banks at the expense of pensioners and savers and the desperate need to shake people out of gold and savings and into the stock markets. Financial repression is a policy that explains the “why” of this mystery. A thorough investigation of financial repression can be gleaned from such documents as the NBER working paper,The Liquidation of Government Debt by Carmen M. Reinhart and M. Belen Sbrancia or the exhaustive work of financial analyst Gordon T. Long. Through such investigation we will find that, just as Cyprus revealed bank depositors are viewed as “unsecured creditors” by the central banks, financial repression teaches us that pensioners and savers are viewed as a direct source of funding for government debt and are the victims rather than the beneficiaries of such government policies. The global fiat- or debt-based model that has existed since President Nixon removed the U.S. dollar’s final international peg with gold in 1971 is in many ways the polar opposite to the value-based model that exists when a currency is pegged in some way to gold. Although most pensioners were brought up to believe that debt is bad, that saving and living within one’s means is virtuous, in the bizarre world of fiat debt-based finance, the opposite is true. Mounting debts are becoming unsustainable at government, business and personal levels, and must be addressed. Yet the fiat reality has spoiled Western investors, and direct taxation and austerity measures are a Western politician’s guarantee of removal from public office. Therefore, indirect taxation, rules that make assumption of government debt through mandatory Treasury purchases by large funds, and debt reduction through currency debasement are the preferred option for reducing debt. All of these policies rob taxpayers and punish savers. Precious metals are the one asset class that still remains beyond the control of central bankers and government policy makers. 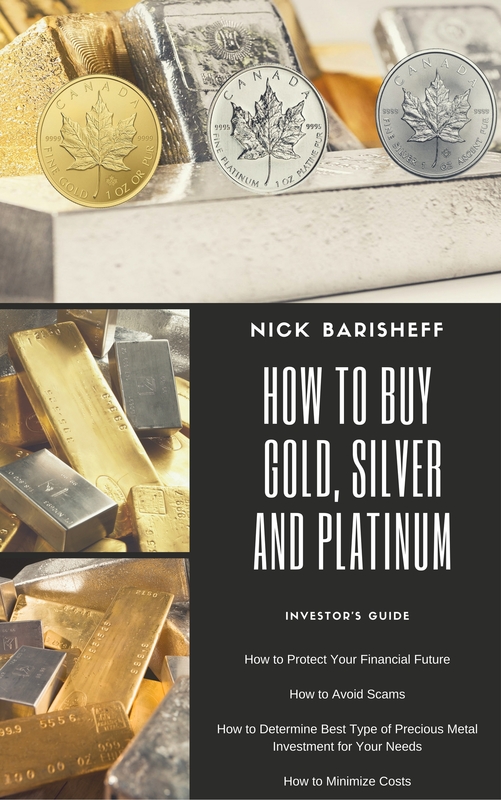 Precious metals are limited in supply and, although the paper market has demonstrated its ability to temporarily affect the price of gold and silver, it cannot change the fundamentals. Precious metals paper instruments such as ETF shares, mining shares and futures and options sustained even more damage during this longest correction in gold since 2000. Those who continue to own bullion to which they hold title are unaffected. Their holdings still retain purchasing power even while government policies decimate the purchasing power of paper currencies. An ounce of gold will still buy approximately the same number of loaves of bread as it would have in Biblical times. There is another unexpected consequence of currency debasement that might also be responsible for this desperate campaign against gold. Japan’s decision to win the “race to debase” has resulted in unprecedented Japanese gold buying as the yen weakens against the yellow metal. As several commentators have noticed, the gold war has become a battle of titans as vast amounts of Eastern capital challenges Western capital for the limited supply of physical gold. Another clue is provided by the spate of new China-centric trade alliances that seek to circumvent the U.S. dollar. Brazil, Russia, India, China, South Africa and now Australia are all moving towards multi-billion dollar trade agreements that will bypass the use of the U.S. dollar completely. This is a significant threat to the U.S. dollar’s global hegemony and a direct threat to the policy of financial repression, as this alone could force interest rates higher. By one account a single-point move in official inflation could add a trillion dollars to the outstanding U.S. debt because of indexed pensions and other unfunded government liabilities. This is another reason gold, the only true threat to paper currencies, and a much clearer indication of true inflation than doctored government CPI figures, must be discredited through price depreciation. Financial repression is all about control of information. The well-timed, coordinated torrent of gold-negative reports such as those from Goldman Sachs and Societe Generale’s The end of the gold era, each warning investors to flee the gold market, were highly suspicious examples of their cozy relationship with the central banks. I realize that many in the gold community would like to place blame on a small group of bankers or elites who are secretly planning a New World Order over which they will rule. Unfortunately, such talk is easy to ridicule. In truth, we are simply following the laws of nature, whereby highly advanced organisms seek to cooperate to increase their power. Mussolini famously stated that fascism should be called corporatism, as it is the joining of governments and corporations. This may be uncomfortably close to the truth, since the past four decades have seen laws passed and changed to the point that the line between Wall Street and Washington is almost indiscernible. Never before, other than during world wars, have Western democracies appeared to practice such strong policies of perception management. Mass media has aided this cause significantly, which is another reason truth seekers should explore each clue, each brief glimmer of light provided by events like Cyprus and the recent takedown of gold. 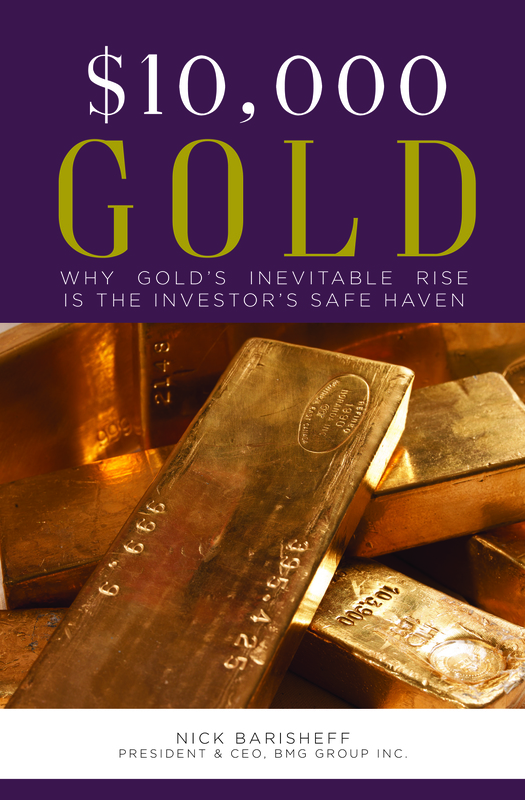 Wealth protection through precious metals bullion ownership is a long-term plan. The gold bull is known for its ability to violently shake off its back those who harbour even a modicum of doubt as it moves towards its eventual goal. I firmly believe that goal will be in five figures before all is said and done, and the world is once again on solid financial footing. This mirror-image chart pattern occurred during the last great run-up in gold between 1968 and 1980. Gold rose from $35 an ounce in 1968 to $195 an ounce on December 27, 1974, only to fall back violently to $103.50 an ounce on August 25, 1976. This represents a 43.4 percent drop in price during this period. Twenty months of price declines were too much for most gold investors, and many exited vowing never to return. The wily bull then reversed course and charged up to $850 over the next three years. Most missed this run. The pattern is eerily similar to what is happening today. Even the correction period is almost identical in length of time. Gold would have to correct back to $1,000 an ounce to fit the pattern, but if it were to match the ensuing rise of 900 percent from its low, it will reach our projected figure of $10,000 an ounce. On days like last Friday, we can only remind our clients and readers that it is best to do what central banks are doing and not what they are saying. They are buying physical bullion while they tell us the gold bull is over and it’s time to return to stocks. Asian countries that have experienced the destruction, the rapidity and the surprise of currency crises hold physical bullion as the ultimate insurance policy. They pay little attention to price movement and, as coin sales and physical buying last week indicated, are wise to the Western central banker’s clandestine motives and policies. To build sufficient confidence to maintain our precious metals holdings requires years of study and the willingness to broaden our perspective significantly. It also requires the ability to think objectively and independently—to reserve judgment perhaps for years until we have weighed all of the facts. I call this approach “expanded” thinking rather than positive thinking, and it is the reason I dedicated several years to writing my upcoming book, $10,000 Gold. We need to look at the real cause of debt. We need to understand the mechanics of the fiat currency model, of fractional reserve banking, of the raging currency war, of the battle for reserve currency status and the insidious policy of financial repression. We also need to believe that we can survive as sovereign individuals and protect our family’s wealth in a world that seems intent on taking that God-given right away from us. We remind our readers that despite these attacks and negative campaigns against gold, all sides in this war for reserve currency status seek one common goal—the accumulation of as much physical gold as possible. Central bank buying is proof of this. In such a war, gold’s natural direction will continue to be up, not down.